Auburn House Concerts offers private acoustic performances in an intimate setting at our home in Auburn California. Our house has a fabulous living room space, with a hardwood floor and high ceiling, that is just made for music. Seeing artists perform 'up close and personal' is a very different experience from what you get in a nightclub, concert hall or festival. The concert announcement in the Auburn Journal for the Kevin Carr's concert was well received. Several audience members found out about the concert from this article. Many other people who were already on the list also saw Kevin's picture in the paper. Check out the notice, Auburn House Concerts hosts Kevin Carr. The Auburn Jounal followed up on their interview done a few months ago with a nice piece about the Euphonia concert. Classics with a twist served at Euphonia show. Kristina Olsen at Auburn House Concerts! I am very excited to announce that Kristina Olsen will be performing in my living room on Saturday, July 16! I first heard Kristina in 1999 at the Kuumbwa Jazz Center in Santa Cruz. I was actually going to see the show's opener, my good friend Stevie Coyle was performing with The Frontmen. But when Kristina took the stage, I was instantly infatuated. What a gutsy, powerful voice! What side-splitting storytelling! What a range of songwriting! Needless to say, I was giddy with delight when I booked Kristina Olsen for an Auburn House Concert!! Just reply to this email to book your seat and please help spread the word! "Jenny Plucks Pears" was recorded at the Chris Caswell Auburn House Concert on November 8, 2008. Chris also plays this dance tune on his 2001 CD Holy Wood. Myra Joy’s violoncello provides a supporting richness to the sound of the metal-strung harp. Email info@auburnhouseconcerts.org NOW to reserve your seats for the upcoming Chris Caswell House Concert on March 6, 2010. "Leaving the Auld Music" was recorded at the Chris Caswell Auburn House Concert on November 8, 2008. It was written by Chris for Danny Carnahan using a traditional tune. Chris and Danny performed together for several years in the early 80’s and recorded two phonograph albums together, New Leaves (1981) and Boarderlands (1982). Jim Malcolm returning to Auburn House Concerts! One of Scotland’s finest singer/songwriters, Jim Malcolm was the lead singer of the Scottish band Old Blind Dogs for seven years. He is now focusing on his solo singer-songwriter music. 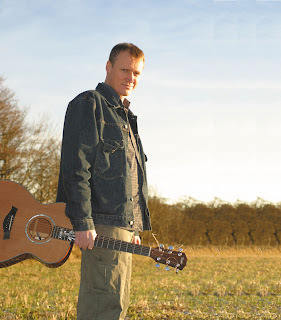 With Jim Malcolm you can expect to hear traditional songs and ballads, his own compositions, and compelling stories, told both through singing and on their own. Your entire contribution goes to the artist. Send email to info@AuburnHouseConcerts.org or call 530/885-4292 for reservations and directions. Doors open at 2:30pm, music starts at 3:00pm. We have changed our email list software in order to give our friends a bit of control over the mail they receive from us. Originally we simply kept a big old list of emails/names of everybody we knew who had expressed interest in attending a house concert. This week we are setting up a professional email list service to help us handle the success of the Auburn House Concerts. The new software uses a confirmed opt-in policy to ensure, by email, that subscribers intended to join your mailing list. When subscribers join the mailing list through the subscription link on our Web site, we send them an email message that contains a confirmation link. Subscribers must click the link to confirm they want to be added to your mailing list. This new policy guards against the possibility that a third-party added the subscriber without their knowledge or permission. Register for Auburn House Concerts email updates.